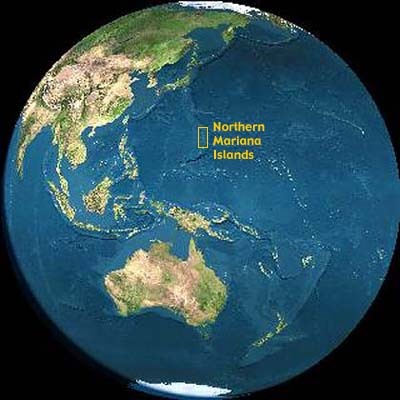 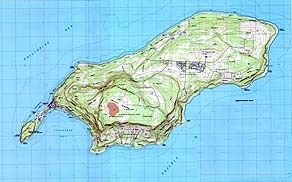 The maps used in this site are arranged according to the chapter and subsection in which they are found. 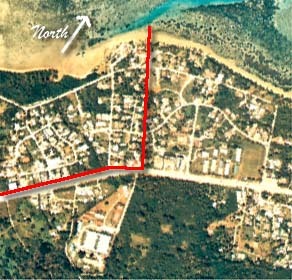 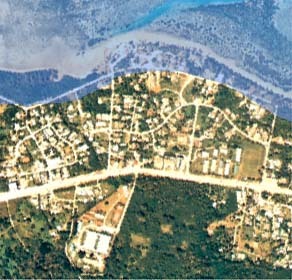 A short description is provided to enable you to ascertain which map most closely serves your needs. 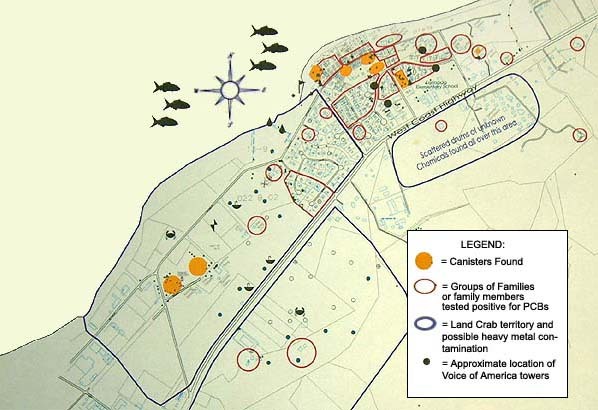 Origins of early Carolinian settlers. 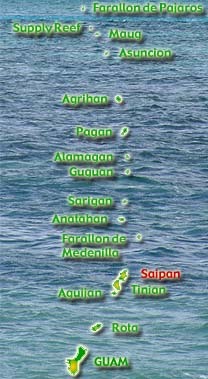 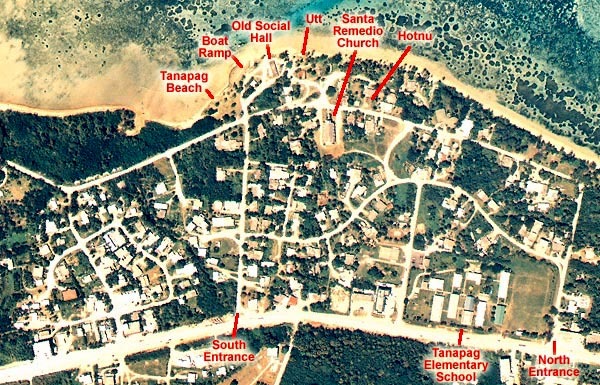 Catholic and Spanish Village names. 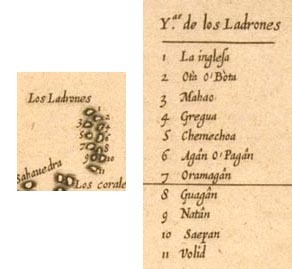 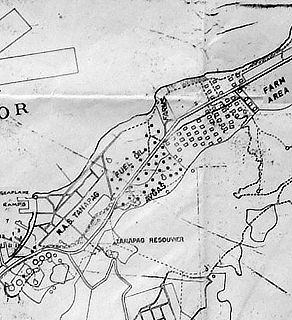 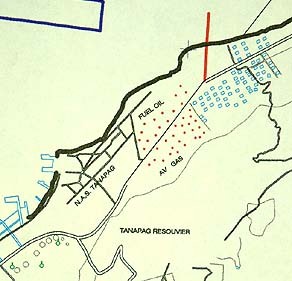 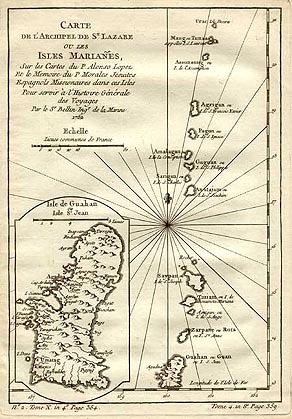 Detail from a Herrera's (1601) map showing the "Ladrones"
Relative locations of Tanapag, Lower Base, and Capital Hill.